Global Shipping Services has renewed its hard-working materials handling fleet with 22 diesel-powered Cat® lift trucks from Impact that will help handle almost one million cubic metres of timber each year. The company, which has three dockside locations in Hull, Immingham and Goole, will also continue to take full advantage of Impact’s flexible short term rental services during peak periods. 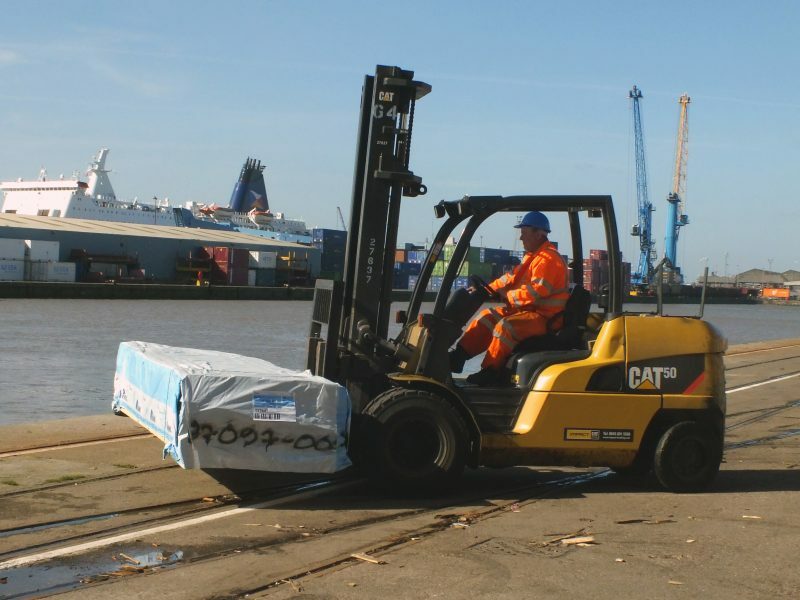 An additional four standby trucks are stationed at Immingham that can be used when required, and short-term hire equipment can be on site at the Port of Hull within a matter of minutes as required from the local dockside-based Impact branch. Peter Waud, Global Shipping Services’ Managing Director, says: “In this industry there are peaks and troughs, meaning at times we need to spot-hire equipment to keep up with demand. Having Impact’s short-term rental trucks available directly at the docks – plus the four trucks in Immingham – allows us to meet these peaks without committing to the purchase of equipment that would sit unused for a portion of the year. Impact handles all servicing and maintenance of Global Shipping Services’ fleet, scheduling routine work around busy periods, or outside of working hours where possible, to minimise disruption. With proactive maintenance, Impact helps the Forklift fleet to reach peak efficiency, and supports the smooth-running of Global Shipping Services’ operations. The new equipment consists of 13 4-tonne forklifts and nine 5-tonne trucks, which join 15 existing forklifts and will be in use five days per week, helping to unload timber from ships before loading it on to outbound trucks. Global Shipping Services was established in 1989, and currently employs 65 members of staff across its three sites. The company primarily imports timber to the UK and in September 2016 finalised a management buy-out.